﻿ Stainless Steel Dish Cabinets,Commercial Restaurant Dish Cabinet,Stainless Storage Cabinets,Commercial Kitchen Dish Cabinet. Stainless Steel Dish Rack and Commercial Stainless Storage Cabinets at Wholesale Prices. ANSI/NSF Standard 2 Restaurant Kitchen Storage Cabinets. Stainless Dual Sliding Doors for Stainless Work Table Storage Cabinets. 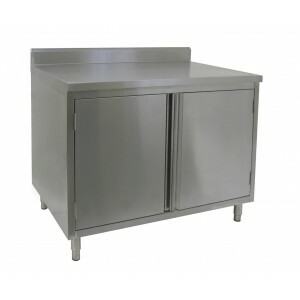 18 Gauge Polished All Stainless Steel Storage Cabinet for Restaurant Kitchen Use. Stainless Top Reinforced with Welded On Hat Channel for Strength. 4 Legs on all Economic Storage Cabinets. ANSI/NSF Approved and Certified Commercial Kitchen Storage Cabinets. 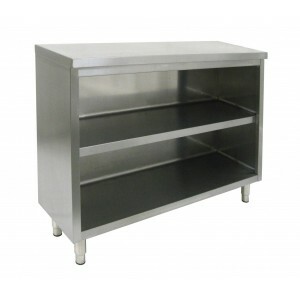 Stainless Dual Sliding Doors or Hinged Door for Enclosed Work Table Storage Cabinets. Stainless Steel Middle Shelf included with all Enclosed Work Table Cabinets. Sound-Deadened Between Stainless Top and Channels. Rolled Edge Construction on Commercial Kitchen Storage Cabinets. 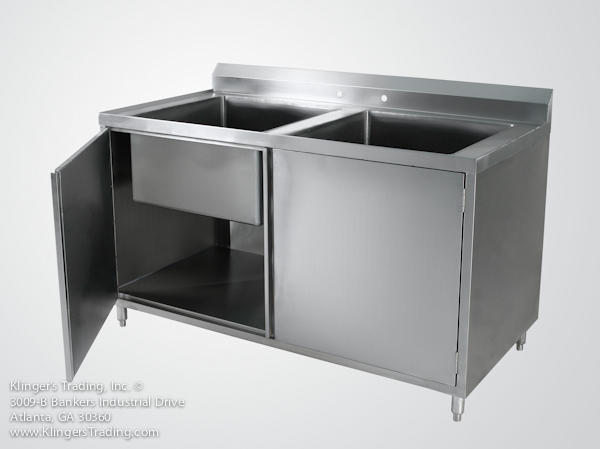 ANSI/NSF Certified Stainless Steel Commercial Cabinet with 2 Sink Bowls. Stainless Dual Hinged Doors for Stainless Steel Storage Cabinet. 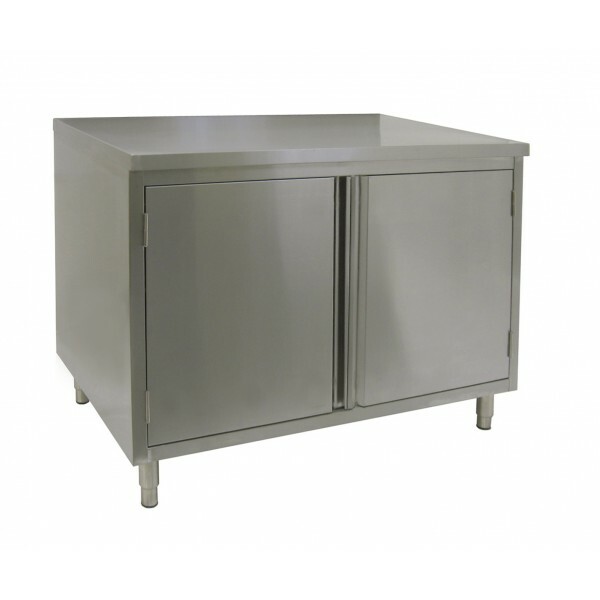 18 Gauge, 304 Polished Stainless Steel Storage Cabinet for Restaurant Kitchen Use. Raised Edges to prevent spillage and 5" Backsplash. Stainless Sink Bowl is 24x24x14D. 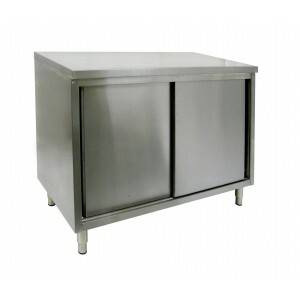 All Stainless Storage Cabinet with Stainless Legs and Feet.